Over the past 12 years, OpenComps has developed a solid reputation as the place to keep you abreast of what’s going on in the hospitality investment and finance world – who is buying, who is selling, who is building. The site has an active and engaged community comprised of the industry’s top professionals. And while we are continuing to focus on bringing you the latest and most comprehensive information that can help you buy, sell or develop a property, we thought we should also look to help you find the people that can help you in that endeavor and add value to your team. 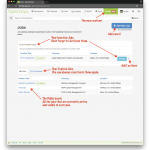 We are excited to announce a whole new section of the site – Jobs. In Jobs, you can find job postings dedicated specifically to jobs in the hospitality finance and investment sector. While property-level finance positions are better suited for general hospitality job sites, we felt there is a need for a highly specialized place to find hospitality finance and investment talent. 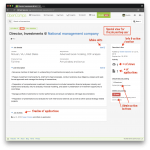 Below are several screenshots to introduce you to the new section and to get you started with a new job posting. We really want you to give the new section a try, so we have made the first posting completely FREE. Try it today! 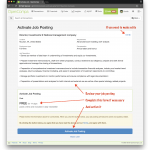 Once you activate your job posting, it will become publicly visible online to all OpenComps users. In addition, your job posting will be featured in our daily and weekly email newsletters (currently only in the U.S. editions). Users interested in your job opportunity can easily submit a job application online. We ask that they answer succinctly three questions – how are they qualified, how much they know about your company and what is their near-term growth plan. Together with their resume, we hope that would give you a good first look into the candidates. 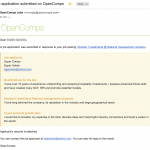 You will receive any job applications via email, so make sure you can receive our emails in your Inbox. To protect the privacy of the job applicants, we will not retain any of data from their application, but we will record their submission. 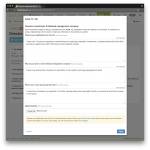 You can monitor these submissions in the Job Activity section and if an email application is missing in your Inbox for whatever reason, you can approach the user on OpenComps. We hope you will like this new section and decide to give it a try today. We aimed for ease and simplicity in designing the functionality and tools in the section, however, we very much welcome your feedback, including on our pricing structure. 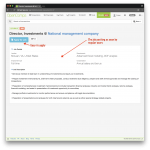 This entry was posted in Updates and tagged new feature on June 7, 2018 by Svetlin.